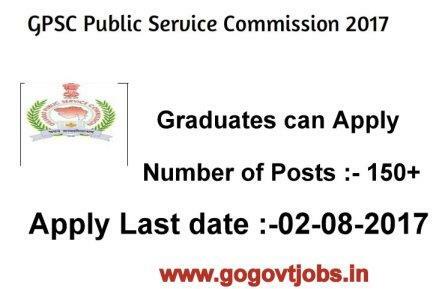 Gujarat Public Service Commission (GSPC) has released notification for the recruitment of Police Inspector Post. Eligible candidates who want to apply these govt job can apply online till 02-August-2017. GPSC has released total number of post 115. you can apply these govt job be four Last date :- 02-08-2017. Eligible criteria for these govt jobs is you have must pass Graduate degree. Application fee :- General candidates have to pay Rs 100/- through challan or net banking or card payment. 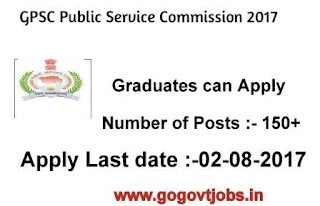 age limits for these GPSC govt jobs candidates have 20-35 years. General candidates have to pay Rs 100/- challan or net banking or card payment. Interested candidates can apply online through website apply Link till 02-August-2017. candidates can take print out of filled application form for future reference.